Do Axed Infrastructure Projects in Malaysia Spell Trouble for China’s ‘Belt and Road’? 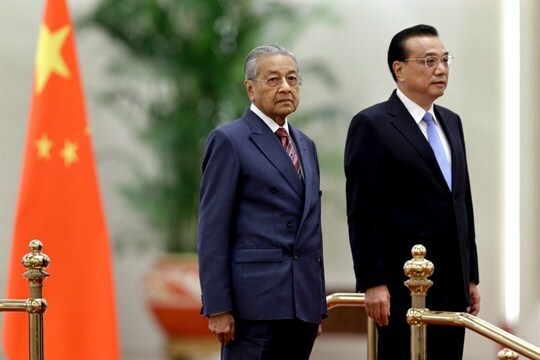 Malaysian Prime Minister Mahathir Mohamad, left, and Chinese Premier Li Keqiang attend a welcome ceremony at the Great Hall of the People in Beijing, Aug. 20, 2018 (AP photo by Andy Wong). Editor’s note: This article is part of an ongoing WPR series about China’s ‘Belt and Road’ Initiative, a major infrastructure and development program across Eurasia.